Good posture is very important and a part of being and to remain healthy. Posture helps you avoid back pain and premature wear on the bones, it improves lung performance and so many more. Below Good Posture will explained including the ms you benefits we derive from it. 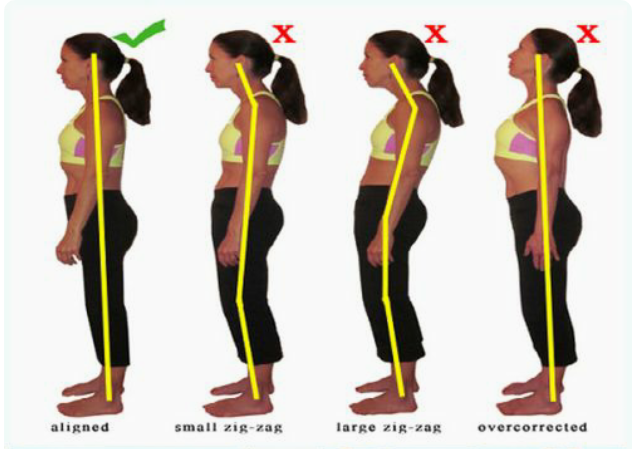 Keeping your chin up and looking forwardKeeping your shoulders back (not slouching)Bending your knees at a right angleKeeping your feet flat on the floorKeeping your back straight enough that all 3 natural curves of the spine are present.Sitting with good posture distributes weight more evenly across your muscle groups – helping you avoid neck, shoulder and back pain. It also allows you to comfortably work for longer periods and avoid some serious long-term health problems. Most Artist during talk shows always exhibit and maintains impeccable posture. These Artist focus on having good posture because they know and understand how much it affects their appearance. By sitting tall in their seat and keeping their chin up, they will look much more beautiful or handsome to the viewers at home. You will gain the same benefits as you improve your posture. It's really very complex in this busy life to listen news on TV, thus I simply use world wide web for that purpose, and take the hottest news. Hi there, yeah this article is really pleasant and I have learned lot of things from it on the topic of blogging. I definitely love reading all that is posted on your site.Keep the information coming. Hello tһіs is kinda of off topic but I was wondering if blogs use WYSІWYG editors or if you hqve to manually code with HTML. so I wanted to get guidance from someone with eⲭperience. Anyy help woսd be enormously аppreciated! Hello! I just wish to offer you a big thumbs up for your excellent info you have got here on this post. am reading this great educational piece of writing here at my home.